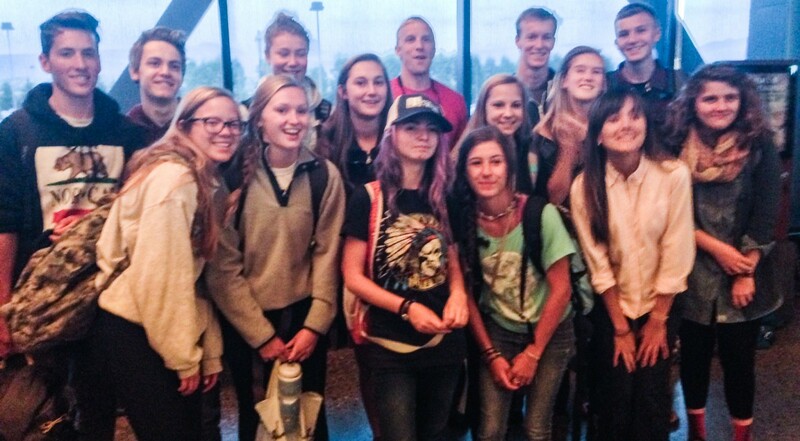 Our 15 Jackson high school students have embarked on the trip of a lifetime to Noloholo Environmental Center in Northern Tanzania! The purpose of this trip is to offer these students an opportunity to engage in experiential learning about an African nation, its cultures and related critical global issues that most young Americans are not exposed to first-hand. These participants will be called upon to undertake a community project of building a library from scratch in the small town of Loibor Siret. All 15 students, together with their three leaders, had a meeting prior to departing and boxed-up eighteen 50 lb. boxes filled with books to take with them for the new library! 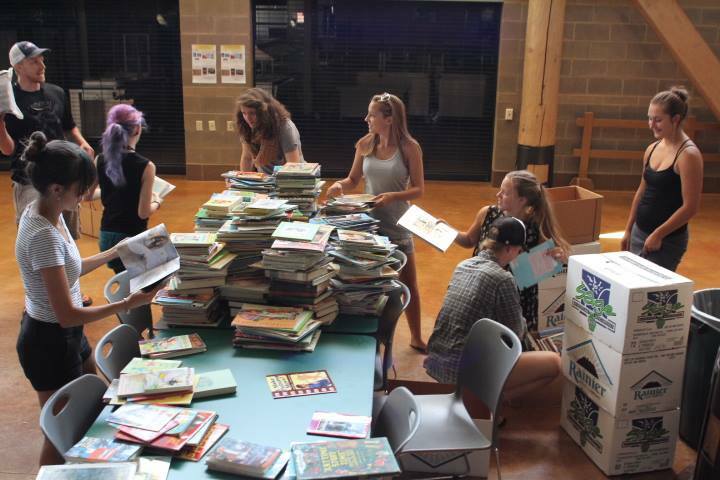 Students packing up their boxes so these books can be part of the new library being constructed.